From Wednesday 13 March 2019 until Thursday 31 December 2020: Enjoy 20 % off! From Wednesday 13 March 2019 until Thursday 31 December 2020: Enjoy 25 % off! From Thursday 18 April 2019 until Tuesday 31 March 2020: Enjoy 25 % off! 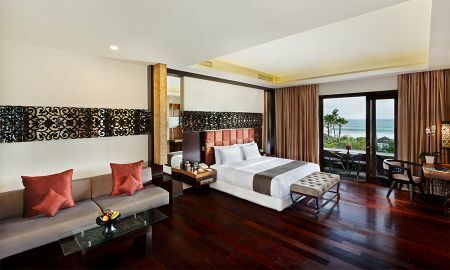 Lavish yourself in the largest banquets of luxury with this stylish beachfront resort. 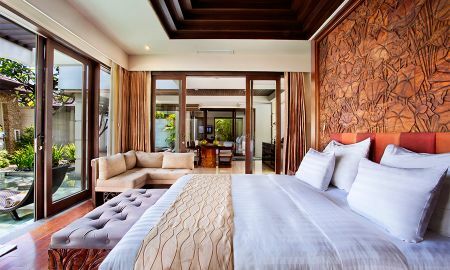 The Seminyak represents a new era in Bali’s evolving hospitality industry. 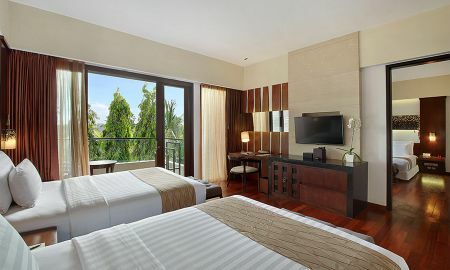 Here, it’s all about sophistication meeting the divine with guests choice of elegantly appointed guest room, suites, and villas designed to accomodate even the savviest of travelers. 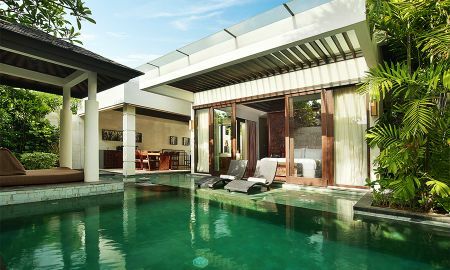 Perched within a charming landscape which encompasses local greenery, glittering lily pads, and traditional thatched pavilions, the Seminyak boasts all the facets necessary to offer a modern retreat with distinct touches of Balinese tradition, providing a welcome escape from the outside world. The Seminyak's signature brand of service combines with a gentile sense of hospitality to offer the most stunning island experience imaginable. Surrounded by waterways and tropical greenery, Santan Restaurant is a collection of modern dining pavilions, a charming setting where to enjoy the pleasure of international cuisine. 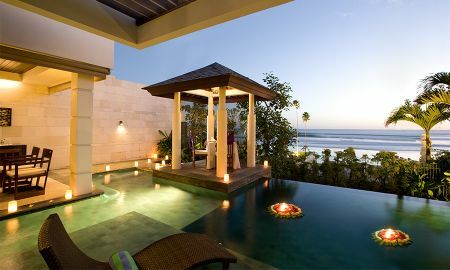 The Sanje Sunset Lounge is a casual, breath-taking and open-air location ideal to drink a refreshing beverage at sunset. The poolside bar serves a large array of beers, varied menus and seasonal fruits. 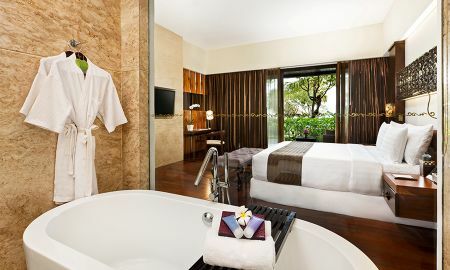 The Kahyangan spa is a heaven of wellbeing, relaxation and revitalisation for your body and soul: its anti-stress and corrective treatments are specifically designed to let guests start a journey of sensory delight. Thanks to the spa’s skilled therapists, you may try customised sequences suitable for your needs and preferences. The Seminyak Beach Resort and Spa is located next to the famous Ku De Ta Restaurant and Bar, within walking distance of Seminyak Square. With an airport shuttle escorting guests to and from Ngurah Rai International Airport each day (just a 45 minute drive), getting there is easy. Take the plunge and see why guests from all over the world are telling their friends to come enjoy a mesmerizing Balinese experience.